The Hogue HandAll Tool Grip Large Red is the ideal item for the tool box of any carpenter. This Large Tool Grip manufactured by Hogue adds incredible comfort to your project by absorbing the vibrations that otherwise cause your hand to be unsteady. 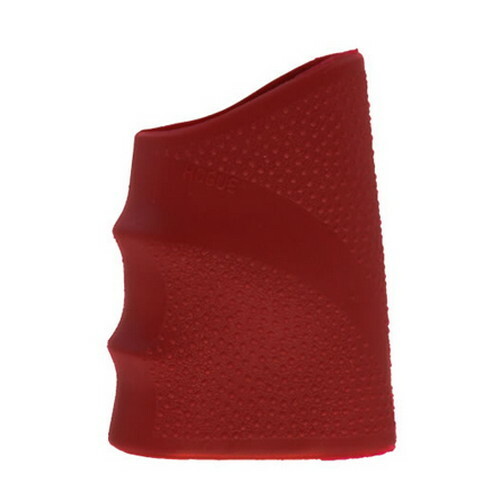 The Hogue Red Hand All Drill Grip is made of shock absorbing elastomer that is incredibly soft and provides superior cushioning for your hands. This Hogue Hand Tool Grip is able to fit tools with handles that are 4.63in to 5.75in at the top and 5.13" to 6.25" at the bottom, making it very useful for many large tools. The Hogue Hand All Large Drill Handle Grip is the perfect way to protect your hands during projects. - Dimensions Top: 4.63" to 5.75"
- Dimensions Bottom: 5.13" to 6.25"